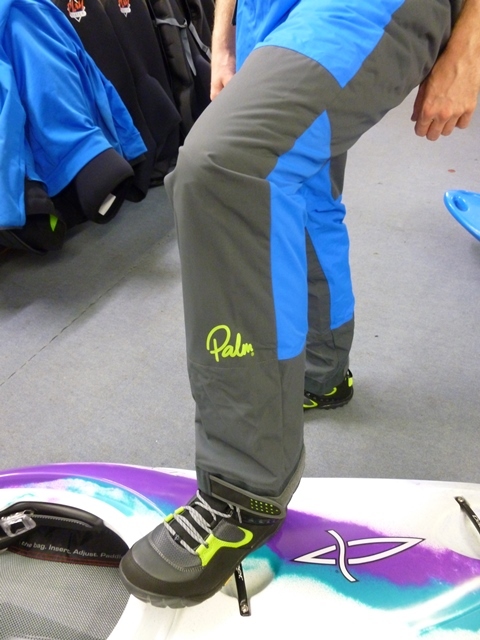 Palm’s latest new product arrived with us this week, the Palm Zenith Dry Trouser or Pant which replaces the Neon pant in the line up. The Atom Pants are due hopefully in January. 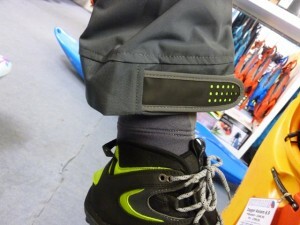 The Zenith’s are a ‘semi dry’trouser made from Palms XP 2.5 layer fabric with a comfortable warm neoprene ankle gasket and twin waist that will probably mostly appeal to whitewater paddlers in the UK but are versatile enough that you might want to consider them for canoeing, sea and touring use or paddling a Sit on Top. Palm have given their whole trouser and suit line up a new look for 2016 with bold single or contrasting colours along with the new script logo the common theme. As you would expect the new product sit along side the rest of the range nicely allowing you to co-ordinate your look or not as you choose. The Zenith pants are available in either Blue shown here or a more muted grey. The technical side of things hasn’t been forgotten and the most noticeable improvement when comparing the Neon to the Zenith is the addition of a long inner waist tube. The elasticated waist with its nice grippy finish to keep it in place, will create a nice dry seal when used with a twin waist cag. 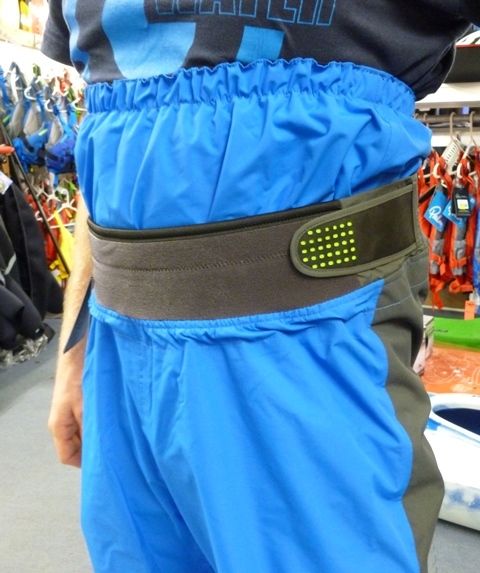 The tried and tested velcro adjustment on the outer waist allow you get a good snug fit as well. The less obvious change that is common across all the new pants and suits is a much improved straighter seam design through out the legs. By straightening the seams Palm have made it much easier to make a quaility job of the taping but also reduce the stress and wear and tear during use. It also trims off a little bit of weight which is always nice by reducing the amount of taping required. The fit hasn’t been compromised though, you still get a very wearable comfortable pair of pants! 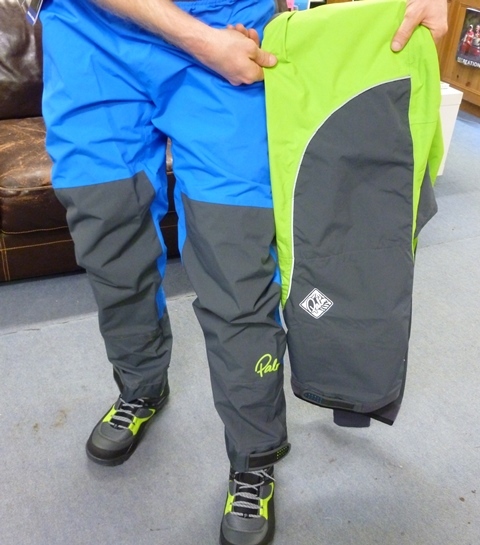 The Zenith pants also feature reinforced panels overlaid on the knees and seat for increased durability and some pretty tough feeling ‘cuffs’ on the bottom of the legs. These are new and should be a) nice and durable and b) pick up less dirt than the softy fuzzy fabric found on the bottom of the Neons.